HFCS is much cheaper to produce than sugar which is why you will find it in your soft drinks, processed foods and “junk food” type products. Consuming too mush of HFCS can lead to health problems such as obesity, diabetes, heart disease and more. Therefore limit products that contain HFCS or avoid it completely. Trans fat is more harmful to your arteries than saturated fat. Food can call themself trans fat free even if they contain up to 0.5 g of trans fat per serving. Therefore read the food labels! If you see hydrogenated on the ingredients list, try to avoid the product. Most importantly is to find a balance. It doesn’t help your health if you were to choose products with high saturated fat just to avoid a tiny amount of trans fat. Therefore find the balance and consume these products in absolute minimal. Currently labeling standard do not require MSG to be listed on the ingredients list so do pay close attention to the other “names” on the harmful ingredients list. Artificial sweeteners are attractive alternatives to sugar because they contain no calories (which means no nutritional value), but this does not mean it will not lead to weight gain. This is because artificial sweeteners can increase your appetite which will lead you to eat more. So if you’re someone who drinks a lot of diet sodas thinking that this will not lead to weight gain, you’re wrong and there are many other health problems that may come with it. Your best bad is to choose natural sweeteners such as honey, maple syrup and agave nectar. They will help you with your weight loss progress and you will add a lot more nutritional values to your diet. The last from my top 5 harmful ingredients to avoid is artificial colourings. They are mostly found in cereals, candies, snack foods, soda drinks and especially in products marketed to children. They will be listed on the ingredients as Blue1, Blue2, Red3, Yellow5, Yellow6 and more. These colourings do not add any nutritional values and may pose health issues. 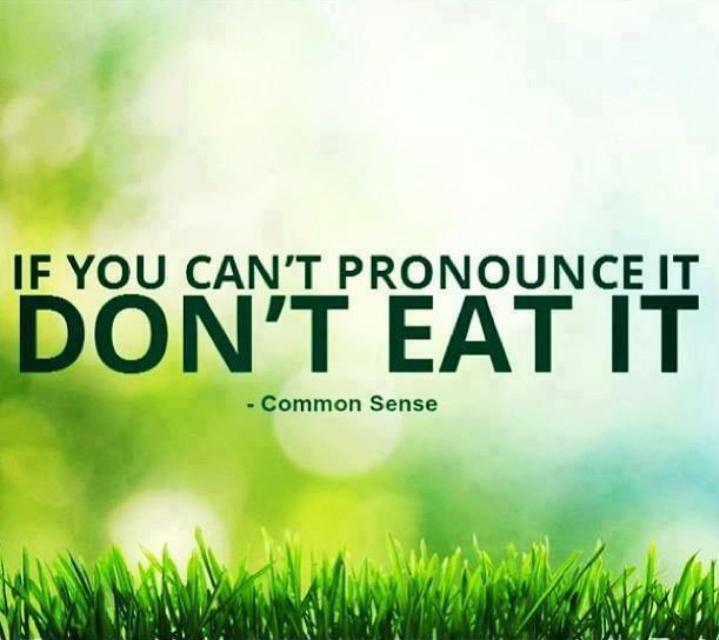 If you can’t pronounce the ingredients on a product, DON’T EAT IT! If you enjoyed this post please share it and leave a comment. Stay fit and eat clean!